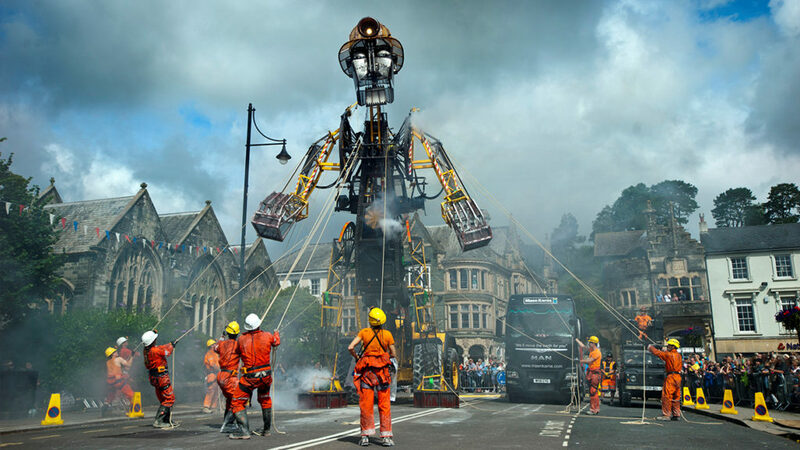 The Man Engine is the largest mechanical puppet ever built in Britain. 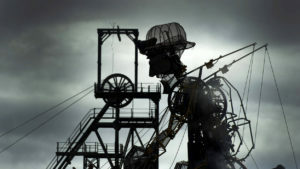 Brainchild of Will Coleman and Hal Sylvester at Goldentree Productions, the 11 metre tall mechanical tin miner was built to celebrate the 10th anniversary of the UNESCO World Heritage status for Cornwall’s mining landscape. He travelled 130 miles in the summer of 2016, visiting Cornwall’s mining heritage sites. I was part of an eclectic team of engineers, artists and makers tasked with bringing the Man Engine to life. My role involved general fabrication of the puppet, the installation of effects and safety features, and the production of technical drawings for structural and safety sign-off. 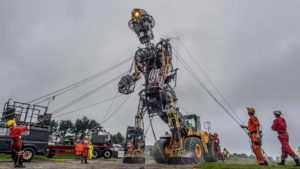 The Man Engine was seen by 149,000 people in Cornwall & Devon and over 112 million people online and in the world’s media.